The Catacomb Mysteries is a faith based education series that is a fun and exciting way for kids to explore Bible stories and their meanings and application to our modern lives. 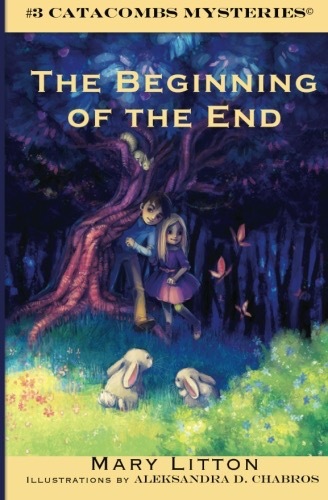 Third grader Will and second grader Molly stumble upon a time portal in the basement of their church. But they quickly realize they are not the only ones who know about the portal, someone keeps using it to alter Bible stories. With the help of a bubble gum loving Angel, Will and Molly must gather the courage to go back in time and fix what has been changed. Traveling through time, they must recall their Sunday school lessons and use their own special talents to figure out how to fix the Bible story to set everything right again. Set within a fun mystery, each book delves into a different foundational Bible story, providing a new perspective on what it was really like to live that story and what impact that event has on current life. With the use of key memory verses and story references, kids become more familiar with the Bible’s books, chapters, and verses. When Will and Molly are sent on a simple errand to the basement of their church, they discover a way to travel back in time. Unfortunately, someone else has already discovered this secret time passage and used it to change the story of Noah’s ark. Now the horses are missing and may not make it back in time before the flood. Will and Molly must get to the ark and figure out how to correct the story and set everything right before the earth is covered in water. Set within a fun mystery, Secret of the Catacombs takes a closer look at the foundational story of Noah’s ark. Will and Molly are needed again in the catacombs! 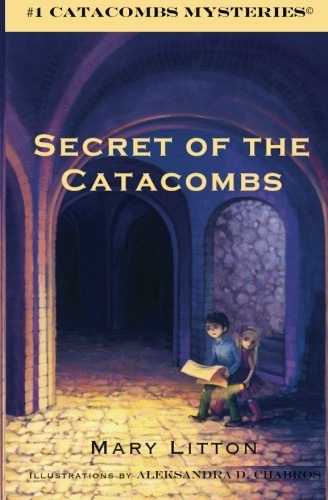 After Will mysteriously disappears, Molly must find the courage to navigate the catacombs all by herself. Someone has gone back in time and changed the story of Moses in the basket. Now the basket is trapped on the river. With the pull of a switch, Will and Molly are transported back to ancient Egypt where they meet Moses' mother and sister. Together, they must return the basket safely back to the reeds so that the Pharaoh's daughter can find it. Someone has gone back in time and changed the story of Adam and Eve. Will and Molly return to the catacombs to fix the story, but find that they must wrestle with their own doubt and trust that God has a plan. Working together, they must avoid contact with the first human beings and get through a pack of snarling dogs to save a stranded puppy. But first, they must decide if they want to make this story right again or change the course of humanity.